AXA PPP is a UK based provider of international health insurance cover. One of the key players on the market and operating in over 190 countries worldwide. 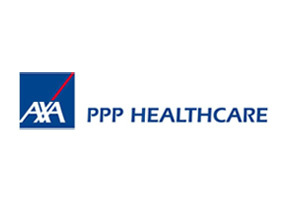 AXA PPP was established as PPP insurance in 1938. The company’s original mission was to provide quality health insurance to middle income earners in England. Since then, PPP has continued in this role and currently provides some of the worlds most comprehensive and flexible international health insurance cover. In 1999 PPP insurance was incorporated into the AXA Group and changed its name to reflect its new situation. AXA PPP has over 2 million policyholders located all around the world. By providing tailored services to meet exact client requirements, AXA PPP has placed itself at the forefront of the international health insurance cover industry. Laying claim to a number of industry firsts, AXA PPP is renowned for its innovation and development of new products with which to better help its customers. This means that when you have an AXA PPP international health insurance cover policy you will receive the dedicated and tailored services that you deserve, and you will be assured of quality, targeted services and solutions to all of your health insurance issues. AXA PPP has a 24 hour helpline that is able to provide you with on the spot assistance no matter when and where you may be located. In conjunction with the company’s extensive direct settlement network, AXA PPP is able to provide its customers with a level of assistance that no other international health insurance organization can. All of AXA PPP’s services are administered in house, this means that you will never have to worry about low quality service from subcontractors. By running all claims handling operations, underwriting, and administration inside the company, AXA PPP is in a situation to truly provide you with the services that you deserve. For more information about the AXA PPP international medical insurance plans that we can offer, please contact one of our expert advisers.